This week’s episode of Keeping Up With The Kardashians revealed a LOT more about Kim and Kanye’s baby girl – and how the couple come up with their non-traditional baby names. The couple’s baby was carried by a gestational carrier as health concerns meant Kim was unable to proceed with her own pregnancy. Revealing the woman was very close to delivering their much anticipated baby girl, Kim said she was far from ready. “I have no baby names. Like, none,” she told her sisters. “Baby names is the hardest part,” Khloé confirmed. “I kind of like one syllable,” Kim explains. Rejecting Khloe’s “Italy, Milan and Rome” suggestions for the daughter she eventually named Chicago, Kim admits she’d already “scoured that map” for geographical baby name inspiration and come up with nada. “Any zodiac signs?” Kim wonders aloud. “No, that’s like the devil,” devout church-goer Kourtney nixes. 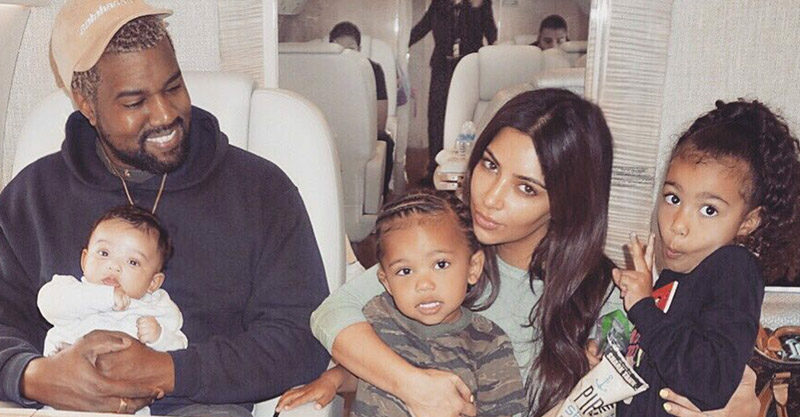 It seems that once Kanye’s family got involved, things got even more off base. Later in the piece, Kourtney said one of her kids thought the baby would be called … Emily! As Kim introduced her baby – who we now know is called Chicago – to her family in this week’s episode, she dug a little deeper into the name’s origin. “My beautiful, little baby girl Chicago is finally here,” she announced, cradling the tiny and very gorgeous baby girl.